What courses does the program consist of? How do I get placed into classes? The College administers the ACCUPLACER test to assess the student’s proficiency in English. Classes vary by level, and placement is based on the results. In this option, the six levels of the EAP program are offered each semester and last for 16 weeks during fall and spring semesters, or 12 weeks during the summer semester. Full-time students and international students take the four skill areas (Speech/Listening, Reading, Writing and Grammar) as well as the Speech and Writing labs. Students entering this program at a basic level (Level 1) will take six semesters approximately two years — to complete the six levels of the program with full-time study. Students who choose this option will normally take 14 credits per semester. The EAP+ Program consists of EAP classes in Levels 3-6. EAP+ is an integrated skills program that combines writing and grammar into one class, and reading, speaking and listening into another class. With EAP+, there is no separate lab; the lab is integrated into the course. In addition to the integrated skills classes, students in the EAP+ Program may take college level courses while completing the program, known as concurrent enrollment. For example, students in EAP+ Level 4 may take MAT 1033 (Intermediate Algebra) while taking EAP+ courses. Students who choose this option will normally take 12 EAP credits per semester, plus 3 additional credits for their concurrent enrollment course. The ACE (Accelerated Content-Based English) Program is a fast-track EAP program for students with strong academic backgrounds. Participants in this program will complete two levels in one semester (Levels 3 and 4, or 5 and 6). Also, ACE students take a regular college credit class, such as a computer science or psychology class, thereby allowing them to get a head start on their college career at MDC. Admission into this program is on a competitive basis and requires a separate ACE Program application, as well as an interview and a writing sample. Students who choose this option will normally take 15-16 credits including their regular college credit class. The cost of tuition for State of Florida Residents (proof of residency of 1 year or more is required) is $118.22 per credit. All other students are considered Out of State, for whom the cost is $402.51 per credit. These rates are subject to change; please refer to Miami Dade College’s official website for the most current rates. A typical full-time EAP student will take approximately 14 credits a semester, at a cost of $1655.08 per semester. Financial aid is available for those who qualify. You should apply early and complete the FAFSA application if you plan to request financial aid to pay for your classes. Can I get a student visa to do the EAP program? What is the difference between EAP and ESOL courses? 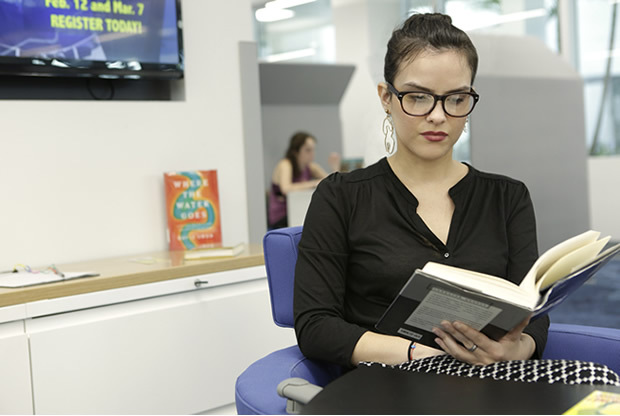 EAP (English for Academic Purposes) is a program for students that want to earn academic credits toward pursuing a certificate or a degree at Miami Dade College. ESOL (English as a Second Language) is a non-credit course for students who want to learn English for non-academic purposes. At our campus, we have morning classes (with most classes meeting between 7 am and 1 pm) and evening classes (with classes meeting between 5:40 pm and 10:50 pm) available for your convenience. Most full-time students attend classes three to four days a week.